If you have a very interesting product or service that you would like to promote and make known to all American, English, Canadian or foreign companies or only those of your product sector, then what you need is a list with the email addresses or phone numbers of these companies. But how to collect email addresses and telephone numbers of american companies? Are there any databases ready to buy or are there other ways to recover them? The answer to this question is given by Yellow Leads Extractor. It is an innovative program designed to gather information from American, English, Canadian companies (and others) directly from the yellow pages lists. Unlike ready-made databases that are sold on the Internet, and often contain incorrect or obsolete information, Yellow Leads Extractor allows you to capture data in real time and therefore ensures a high percentage of useful and correct information. 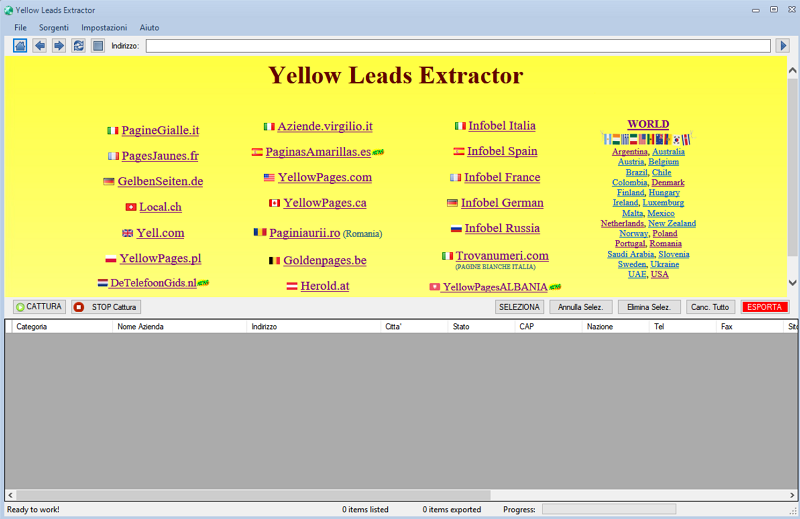 With Yellow Leads Extractor it is really easy to start collecting email addresses and telephone numbers of american, english or foreign companies. The main steps to follow are the following. 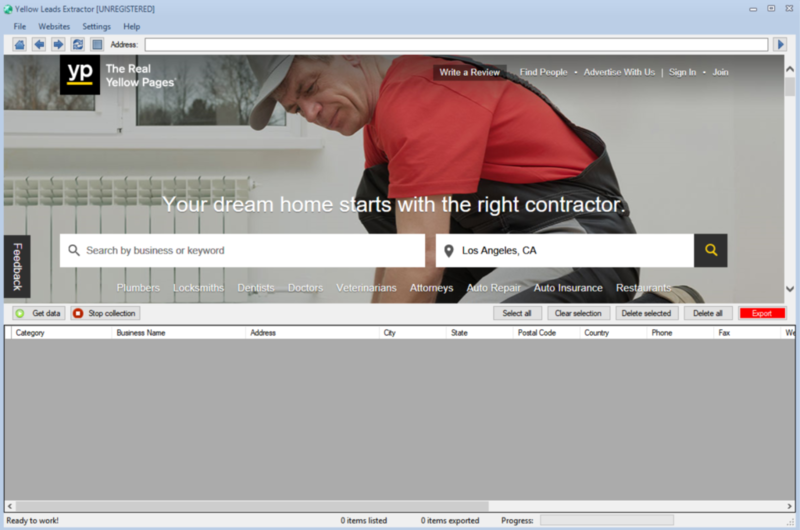 With the demo version of the program you will be able to see the first 35 results. By purchasing the license you can remove this limit and extract all the data on the site. This data can be extracted into an Excel or CSV file. In every row of this file you will have all the details of the company: name, city, address, telephone, fax, email address, website, etc ….